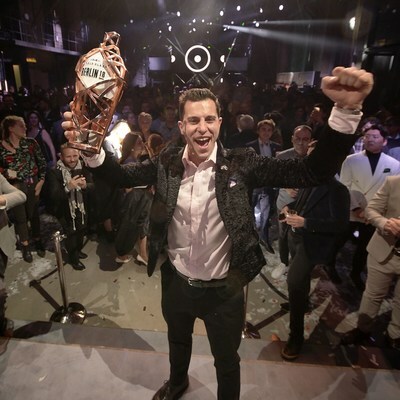 Orlando Marzo, from Melbourne's acclaimed Lûmé restaurant, has been named the world's best bartender by the biggest bartending competition on the planet, WORLD CLASS Global Bartender of the Year 2018. Shaking it all the way to the top was no mean feat for this leading bartender, but his winning cocktails well and truly blew the judges away. Diageo Global Cocktailian and WORLD CLASS judge, Lauren Mote, said: "All the finalists brought their A game, but Orlando really was on another level. The Zacapa aperitif he made for the 'Before and After' challenge was one of the best I've ever tasted and the way he held his nerve in the 'Cocktail Clash' finale - for me, that's the mark of a truly WORLD CLASS bartender." So how did he do it? Hard work and an incredibly supportive bar team back home, according to the newly crowned winner. "I can't believe it!" 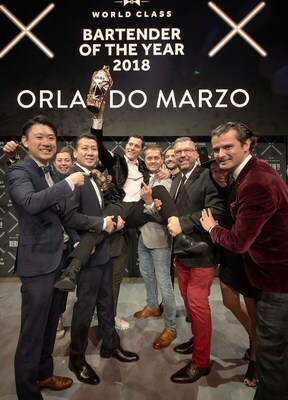 said Orlando, "Just being here, competing alongside the best bartenders in the world, judged by some of the most iconic names in the business was a once-in-a-lifetime opportunity, but to actually win? I'm still in shock. I couldn't have done it without the support of my amazing team back home - they've cheered me on every step of the way!" 2018 marks the 10th anniversary of WORLD CLASS, and guests at this year's Finals in Berlin were treated to a show unlike any other. In an eclectic capital known for its cutting-edge bar scene, trends were set, new ground was broken, and the boundaries of mixology were pushed further than ever before. The competition kicked off on Friday 5th October, as dozens of the world's best mixologists gathered for the biggest event on the bartending calendar. On Monday, after a gruelling weekend of challenges, 56 competitors were whittled down to the final four, who put every skill in their bartending arsenal to use in the 'Cocktail Clash' grand finale. The standard this year was truly exceptional, but Orlando stood out as the best of the best. Armed with Diageo's award-winning Reserve brands, he blew the judges away, taking sustainable bartending further than ever before in the Ketel One 'Better Drinking' challenge, and reigning supreme in the 'Flavours of a Nation' round with his innovative twist on the classic Johnnie Walker Black Label Highball. To seal the deal, he went head-to-head with his fellow competitors in the 'Cocktail Clash' Grand Finale and brought the house down with one show-stopping creation after another. Orlando has an incredible year ahead of him - he will have the chance to travel the world as a Diageo representative, making bespoke drinks in exotic and far-flung locations and judging competitions. He will also join a roll call of the industry's finest, becoming the 10th member of the WORLD CLASS Hall of Fame. Emily Wheldon, Global Head of WORLD CLASS, said: "For the 10th anniversary of WORLD CLASS we were on a mission to make this the biggest and best Global Finals yet - and it didn't disappoint! Cocktail culture continues to reign, and over the last four days in Berlin, these WORLD CLASS finalists have set the standard for the year to come. The venue was spectacular, the challenges more innovative and exciting than ever before and the talent on display was second to none. The aim of WORLD CLASS is to inspire people to care as much about drinks as they do about food, and we've certainly achieved that here this weekend!" WORLD CLASS is on a mission to inspire people to drink better and shape the future of drinking, whether at home or in the bar. If you have been inspired to drink better, visit http://www.theworldclassclub.com or the WORLD CLASS Facebook community, where you can find winning recipes from this year's finalists to try at home.